Trapping doesn’t solve a nuisance animal problem. Animals are attracted to your property because it provides something they want and need. Usually what attracts them is access to FOOD, WATER or SHELTER. If your property provides food, water or shelter, animals will find it. If you borrow a trap or hire a trapper to trap and remove an animal that has moved into a cozy den space under your deck, or one that eats your cat’s leftover food, you are then leaving an attractively open space (or an easy food source) on your property for the next wild creature that comes along. You can trap that animal too, but what about the next one? Unless whatever is attracting the animal is removed, other animals will fill the vacant space. 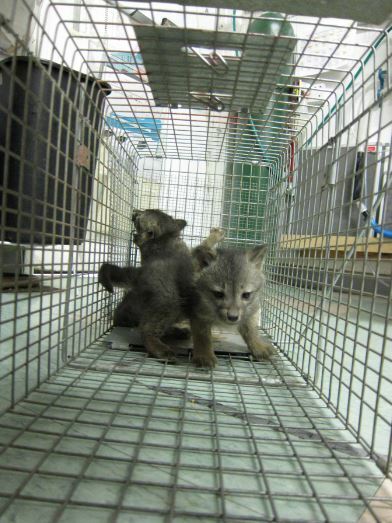 When you hire a pest control company to come out and trap a nuisance animal, or if you do it yourself, legally the animal must be released within 100 yards of the capture site, or the animal must be killed– AND trappers are not legally required to tell you this. That’s right. California law requires trappers to release a trapped animal essentially back on your property, or to euthanize the animal. Sometimes trappers try to hide this fact but telling clients they will relocate the animal to some green and healthful spot. While this may sound like a good option, keep in mind that it is not legal for a trapper (or anyone) to relocate, so most likely he is lying to you and will instead kill the animal. Also keep in mind that relocation is actually incredibly cruel. In the vast majority of cases, relocation results in the death of the animal. Imagine an animal removed from its den, comfort zone and all its known food and water sources. Imagine dropping that animal, confused and terrified, into another animal’s territory. What is likely to happen? The relocated animal will be beaten up and chased away, and will eventually starve to death, or die of exposure. In this situation, most wildlife will perish. Most of the problems people have with wildlife happen during spring and summer’s baby season, so trapping often separates a mother from her dependent young, leaving them behind to die from starvation, dehydration and hypothermia. Relocation of nuisance wildlife is never a good option to solve a wildlife problem. WildCare Solutions works with concepts known as “humane eviction” and “humane exclusion.” Humane eviction means that we apply our knowledge of wildlife behavior and natural history to motivate the animal(s) to leave on their own. Humane exclusion means that we remove what attracts the animals to your property, so the animals are “excluded” from your property when we close up entry holes and make den spaces inaccessible. Our approach is safe, legal, humane and effective. WildCare will never euthanize healthy animals. Trapping doesn’t work and can be very cruel. 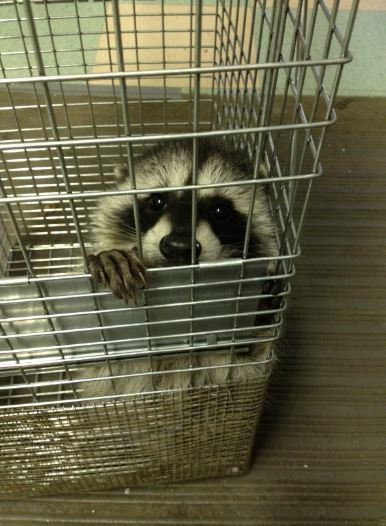 Choose the humane, and ultimately most effective method for dealing with nuisance wildlife— WildCare Solutions! Call us at 415-456-7283 today!